Based in part on the author's own life, "David Copperfield" is the epic story of a young man's journey of self-discovery - from an unhappy and impoverished childhood to his vocation as a successful novelist. Among the memorable cast of characters he encounters along the way are his brutal stepfather, Mr Murdstone; bubbly Nurse Peggotty; his brilliant, but unworthy schoolmate Steerforth, his eccentric aunt, Betsy Trotwood, the scheming clerk Uriah Heep, the enchanting Dora and the magnificent Mr Macawber - a character much like Dickens' own father. 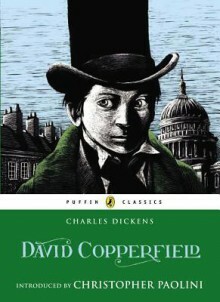 Full of tragedy and comedy in equal measure, "David Copperfield" remains one of the most enduring and popular of Dickens' novels.